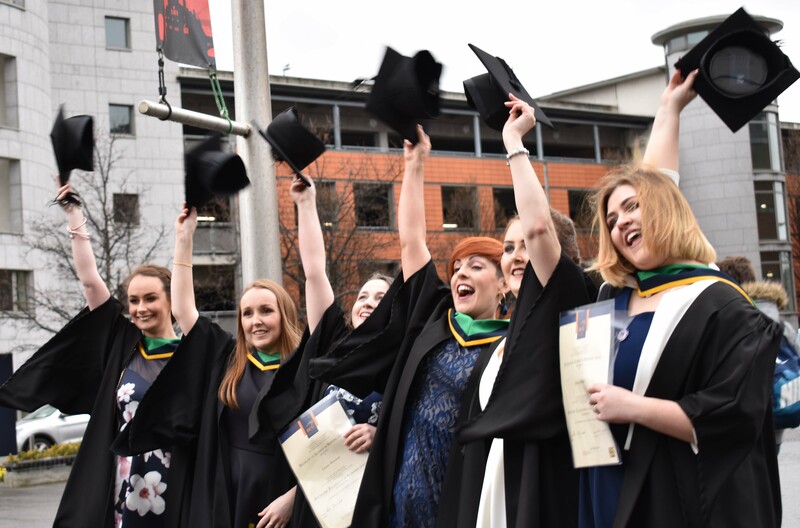 DCU students pictured outside graduation ceremony in November 2018. The National Employer Survey shows that employers are overall very satisfied with the graduates they have recruited in 2018. The survey was carried out by the Higher Education Authority, Quality and Qualifications Ireland and Solas in a joint venture. It received information and responses from 760 business and organisations, 535 of which had recently hired graduates. The survey showed that in particular, employers with satisfied with the computer and tech literacy of graduates and their ability to process numerical data. According to the Department of Education and Skills, the aim of the survey was to gain a greater understanding of the minds of employers and what they look for in recruitment, particularly the recruitment of graduates who have limited experience in employment. The survey was also used to find out about employers’ views and trust in the education system in Ireland and the graduates it produces. It allowed for comparison between Higher Education graduates and Further Education and Training Course Hub (FET) graduates, showing that employers had a high rate of satisfaction for both types of graduates of 86% and 84% respectively. FET graduates scored highest in a number of areas of the survey including, working effectively with others and on their own, and having effective verbal communication skills. The results represent a highly successful FET system in regards to apprenticeships, trainee programs Post Leaving Cert courses (PLCs) and community and adult education. Maria Walshe of Solas has said that due to the recent growth in the economy, there is a paralleled growing demand for apprenticeships in Ireland. This has led Solas to introduce 11 various new apprenticeship options which offer various opportunities when it comes to working abroad and in Ireland. The survey’s results were launched by Minister for Education and Skills, Joe McHugh on January 23 2019. The survey showed a dissatisfaction among employers in regards to graduates’ commercial awareness, languages, and entrepreneurship. Minister McHugh said the Government will take relevant steps to improve these areas.